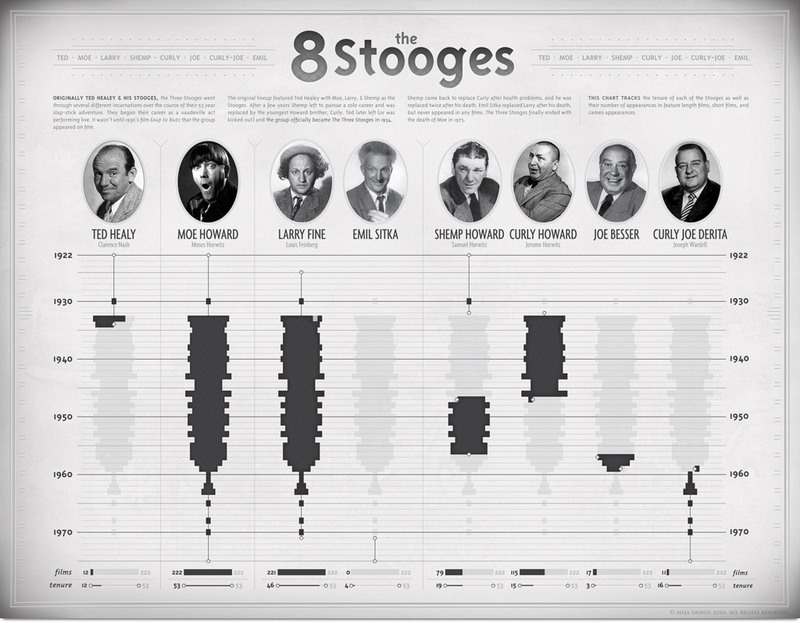 A visualization of the member history of the Three Stooges. Originally Ted Healey & His Stooges, the Three Stooges went through several incarnations over the course of their 53 year slap-stick adventure. They began their career as a vaudeville act performing live. It wasn’t until 1930’s film Soup to Nuts that the group appeared on screen. This chart tracks the tenure of each of the Stooges as well as the number of appearances in feature length films, short films, and cameo appearances.